Forums - Bricks in Motion » Contests & Festivals » THAC XIV - Starts Now! Topic: THAC XIV - Starts Now! The theme is "In Transition". The color mod elements is a a blue piece connected to or directly touching a red piece. 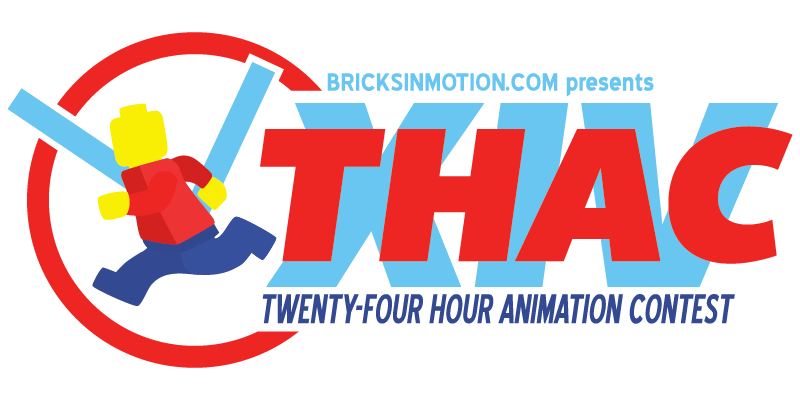 The letter mod element is the letter B.
THAC is a brickfilming contest that lasts for exactly 24 hours. All the idea-making, writing, recording, animating, editing and submitting is to be done within the time limit. It's a challenge, it's frantic, and it's a lot of fun! The contest will begin on Saturday, January 7, 2017 at 12pm (midday) GMT and will run for 24 hours. It will end on Sunday, January 8, 2017 at 12pm GMT. You can see when the end of the contest is in your time zone by clicking here. Anyone may enter! Judges may participate but are disqualified from being ranked and from receiving prizes. Joint productions are allowed, but it is up to you to divide up the prizes if you win anything. Your entry must be entirely made and submitted during the 24-hour period. To prove this, mod elements must appear in every shot of your animation (more information below). Use of copyrighted material (including music) is allowed, though discouraged. Use of copyrighted material will not affect the judging of your entry. There is no direct score deduction but a film that uses preexisting IPs will not be viewed as favorably as a film that creates something entirely new. Using a preexisting IP is like writing a paper but half the paper is quotes from other people. While copyrighted/trademarked properties are allowed, you are discouraged from basing your movie off of pre-existing franchises (Star Wars, Marvel, etc.). Its not original, and could affect the judging of your film. Copyrighted music may be used, due to the time constraints for this contest. If you do not wish to do so, you are permitted to create original music beforehand. Original music does not have to be created within the 24 hour time limit. To prevent cheating, the contest theme will only be announced when the contest begins. You can brainstorm ideas beforehand but you could be way off what you're meant to make. In addition, "mod elements" must be present in every shot of your film. These mod elements will also be announced when the contest begins. The first mod element is a color mod. This will be a combination of two random brick colors connected together (for example, a white brick connected to a grey brick). The second mod element is a letter mod. This could be any of the 26 letters of the modern English alphabet. You may use the uppercase or lowercase version of the letter, but the letter must be recognizable as that letter. The letter may be upper or lower case, but it still must be clearly that letter. The letter can be rotated but not mirrored. Again, it must be clearly identifiable as that letter. It may be written or printed on a piece of paper or sticker, drawn directly onto a brick, printed on a piece, or built from pieces and even integrated into the set. Please note that other blue or red color variants, such as Dark/Medium Azure, Sky Blue, Sand Blue, Sand Red, or Rust, are not accepted. Here is a link to the overall Bricklink Color Guide. The mod element must be physically present in the shot. Mod elements cannot be added digitally in post-production. Send an email to [email protected] before 12pm (midday) GMT on Sunday, January 8th, 2017. Unless I am asleep, I will reply as soon as it arrives to confirm that your submission has been received, and add you to the list below. In the body of the email, please include a working link to your film, and a password if applicable. Unlisted YouTube video. To make your video unlisted, go to the video page and click the little blue icon next to the video title, then select UNLISTED from the drop-down menu. Password-protected Vimeo video. To make your video password-protected, go to the video page and click Settings, then under the Privacy tab, choose "Only people with a password". Please remember to include the password in your email! If I cannot view your entry, I cannot accept it. This year, like earlier years, we will be offering a prize pool of three prizes. This means that 1st place gets to choose which of the three prizes they want, 2nd place chooses from the remaining two and 3rd place gets whichever one is left over! 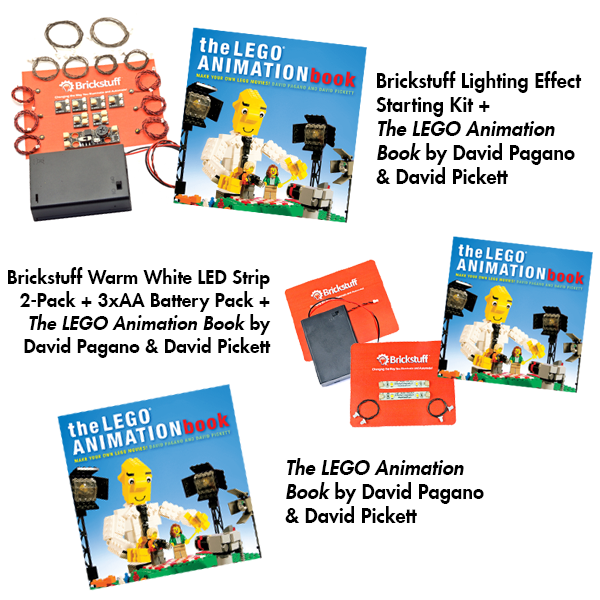 Big thanks to our sponsors Brickstuff and David Pagano and David Pickett for providing the prizes! With the exception of the removal of the "Entrants must have been a member of BricksInMotion.com for at least one week" rule, no rules have changed! If you want to participate in and keep up with everyone's THAC progress on Twitter, use the hashtag #THACXIV and keep an eye at the top of the forum! You can also post your progress in the progress thread on the forums. Please note that this isn't a guarantee all of the films in the list are eligible. I did keep a cursory glace out for the mod element when watching them, but I didn't go shot by shot. I don't expect there to be many problems, though. Re: THAC XIV - Starts Now! Woo! Now I'm IN TRANSITION to THAC story mode. "Do everything you do for the glory of the one who made you.."
Can a blue torso with red pants work for the mod element? Oh I'm so pumped up let's do this thing!!! Sorry, I read the rules and found my answer. I have no idea what to do, yet! Geez, aren't you starting that pretty late in the game, don't you think?